We believe everyone deserves to live in a home that is nice, safe, and accessible to their community. It can be particularly difficult for people with disabilities to find housing that is both affordable and accessible. Someone living off of Supplemental Security Income (SSI) pays an average of 104% of their monthly income to housing. In more populated areas, such as Bloomington and Columbus, Indiana people with disabilities are often priced out of the housing market. It is essential for someone who cannot drive to have access to public transportation to access their community for work, groceries, recreation, and social lives. As Americans began to feel the recession in about 2007, we realized that affordable and accessible housing for our customers was not going to become more available, so we decided to do something about it. LIFEDesigns became an affordable housing developer, and partnered with Milestone Ventures, and others to develop affordable housing projects. Since 2007, we’ve successfully developed ADA accessible homes, apartments, duplexes, housing designed for supported living, a group home, and permanent supportive housing. As we develop housing, with each project, our employees and our board ask ourselves, “Is it good enough for me?” We take great pride in developing high quality buildings that provide more than just a home to people. We want our customers who live there to be proud of their home, and make it their own. Our affordable housing uses HUD guidelines and standards for eligibility, and rents are based on income levels. We value each person’s privacy, and in all our group home and supported living developments, we’ve made it a priority to ensure each bedroom has it’s own private bathroom. Here are each of developments. Each one is unique, and fills different needs in the community. While most of the projects are in Bloomington, we are looking to do projects in other communities as well. 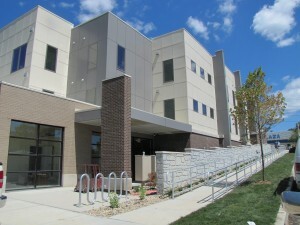 Crawford Apartments I & II – Permanent Supportive Housing, Bloomington, Indiana. Awarded with the Lt. Governor’s Award for Excellence in Affordable Housing and Community Development. Two apartment buildings with 61 units total, for people who are chronically homeless and have a disability. 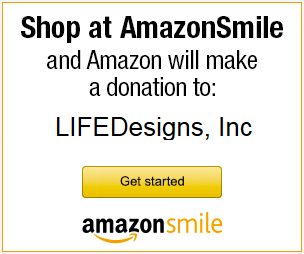 LIFEDesigns at McKinley – Supported Living, Columbus, Indiana. Two houses with four bedrooms, each bedroom has a private bathrooms. Highland Group Home – Group Home, Bloomington, Indiana. Built to be completely accessible, the home offers seven bedrooms, each has a private bathroom. 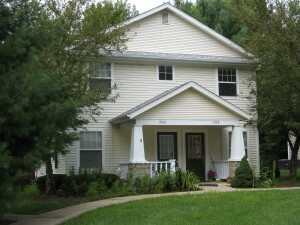 Housing Options I & II – Affordable Housing Apartments, Bloomington, Indiana. One and two bedroom apartments, four units are ADA accessible. Eligibility is determined on income and availability of apartments. Donate to support the development of new affordable housing projects! This video shares a few of the stories about some of the people who were previously homeless and have now found their permanent home with Crawford Apartments.